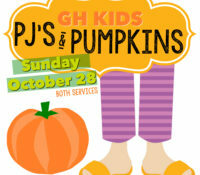 Kids are invited to wear their pj’s to church on Sunday, October 28! There will be pumpkin carving fun happening in the kids’ classes during both services! The next Man Event is Thursday, November 15 @ 6:30 PM! 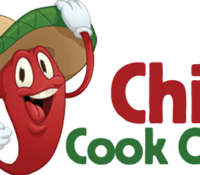 Shane Sturdivant, Director of Micah House will be our guest speaker, and we will be hosting a chili cook off. Mark your calendars and start inviting your friends. It’s gonna be hot!!! 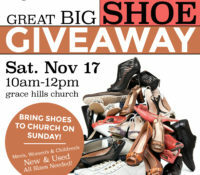 The Grace Hills Church GREAT BIG SHOE GIVEAWAY is Saturday, November 17, from 10am-12pm. We will be giving away as many donated shoes as we can, in a variety of sizes. If you’re in need or know of someone who is, please come and share this event! 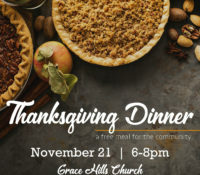 We will be serving a Thanksgiving Dinner with all the fixings on Wednesday, November 21 at Grace Hills Church! Come anytime between 6-8pm and let us serve you a warm meal. 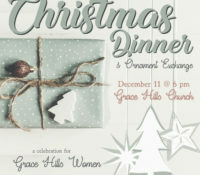 Ladies, you are invited to join us on Tuesday, December 11, for our Christmas Dinner & Ornament Exchange! Please bring a wrapped ornament and a finger food or dessert to share. It will be a fun, festive evening! 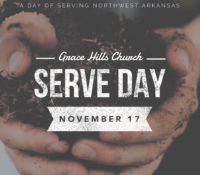 Grace Hills Church, from 6-8PM. 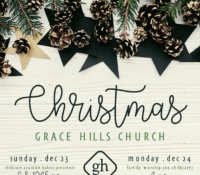 Join us for Christmas services at Grace Hills Church! On Sunday, Dec 23, we will gather at our normal service times (9 & 10:45 am). Childcare will be available for babies and preschool, but elementary aged kids will attend the service. Come worship our Savior with us! Join us on Christmas Eve (Monday, December 24) for a very Merry & Fun celebration! This large family gathering at 4 pm will welcome children of all ages into the service and will only last about 30 minutes. (No childcare will be available.) ++++++ O, come let us adore Him! We can’t wait to celebrate this special holiday together! 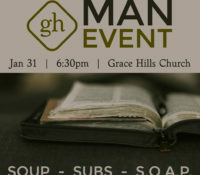 The next Man Event is scheduled for Thursday evening, January 31 @ 6:30 PM at the church. The theme for the night is Soup, Subs, and S.O.A.P. We are going to have good food and emphasize an important aspect of being a man as defined by our Creator (and Yes!…it involves SOAP!) 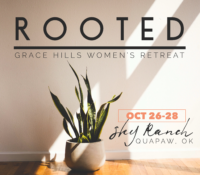 Put it on your calendar and start inviting some men to come with you!